Neill Blomkamp has returned with his third feature, and hoping for a return to form. He burst onto the scene in 2009 with District 9. It came out of nowhere and gave us a great science fiction film. From there he gave us 2013's Elysium, which is not well thought of. I liked it when I first saw it, but it really is something of a mixed bag, even Blomkamp has recently come out and apologized for the missteps. I went in to Chappie hoping that it would be a return to form, something to start building faith for his recently announced Alien project. What I found was not great, but not terrible either. 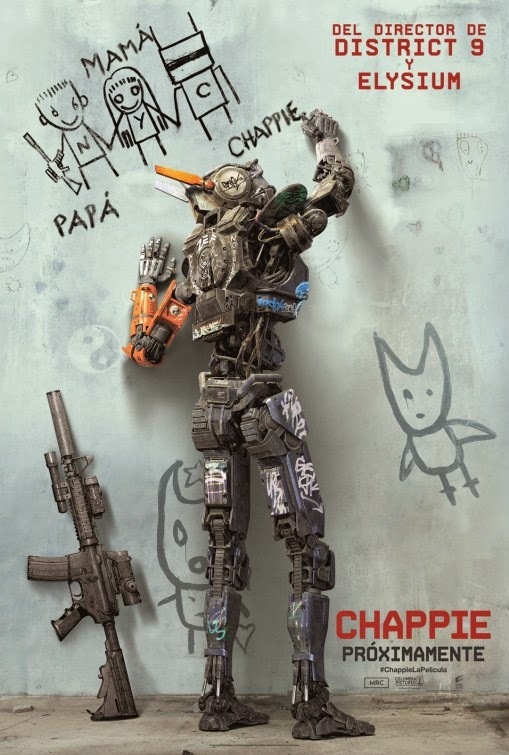 Chappie is sort of like a cross between Short Circuit and Robocop, if they were set in the District 9 universe. Not the most original thing I have ever seen, but an interesting concept to look at humanity, compassion, and the nature of consciousness. The movie really feels like it is having an identity crisis. Is it lighthearted and introspective or is it a mean spirited action film? While the two do not have to be mutually exclusive, the blend here is kind of rough. The movie is set in the near future and Johannesburg has introduced a robot police force. It is a project that seems to be working However, the robot's creator, Deon (Dev Patel), is more interested in furthering scientific experiments and creating an AI capable of learning and emotion. This does not go well with the company's boss (Sigourney Weaver) or his main rival, Vincent (Hugh Jackman), a designer who has created a monstrosity not unlike Robocop's ED-209. He goes to test out his AI, but the robot gets taken by a couple of thieves (Ninja and Yolandi Visser of the music group Die Antwoord), who plan to use him to steal a lot of money. Everything builds to a showdown between Chappie and Vincent's robot, dubbed Moose. Now, the more I think about it, the more I think I like it. I think I was just caught off guard by a movie that was not what I was expecting going in. This is not to say it is great, it is pretty sloppy in the writing department. It seems to fast forward over the elements that would have made it great. For example, we follow Deon home, he types away and all of a sudden has a program that creates consciousness. Seemed a bit fast to me. 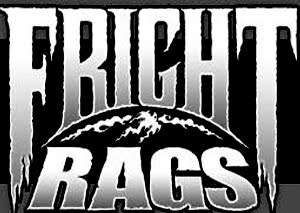 It skips over stuff to get to the comedy stuff with the thugs. Where it does really begin to work is in the latter half, once we have a talking Chappie and real things begin to happen, there is some real emotional poignancy generated in the attachments between the thugs, Deon, and the newly sentient Chappie. I really began to feel for them as they realized what they had. There was some great emotional pull going on. It is just a shame that I did not get a better feeling for the world they inhabited. Chappie has some very interesting stuff going on. What is consciousness and what defines the life. Is something a danger because of what it does, what it is trained to do, or just because someone says it is. Interesting stuff. However, there is the silliness of the thugs and being cool, and their need to get money, and just the way some of it plays out was just not good, stood out, and served to mask the better elements. The potential for greatness was there, but the execution left it muddled and mediocre.